Local mobile brand, Myphone, recently released a new budget friendly smartphone that features a quadcore processor with 1GB of RAM in a 5-inch screen display. Meet the new My27. 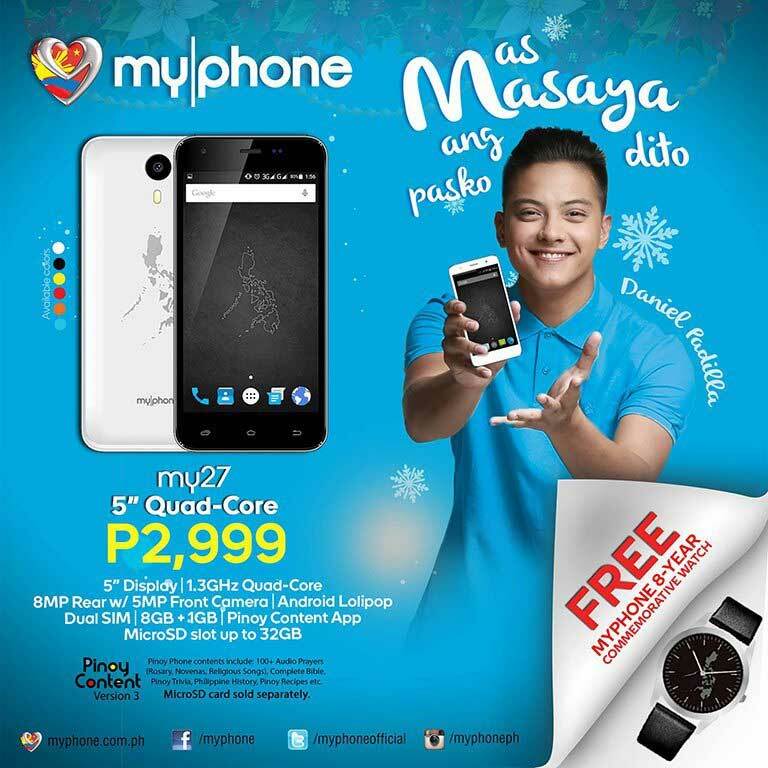 The My27 has an 8 gigabyte internal storage with free Pinoy Content App. An 8 megapixel camera can also found at the back of the phone, while its front facing camera has a 5 megapixel. Note: People who purchase this product will get a free 8-year commemorative wristwatch from MyPhone. 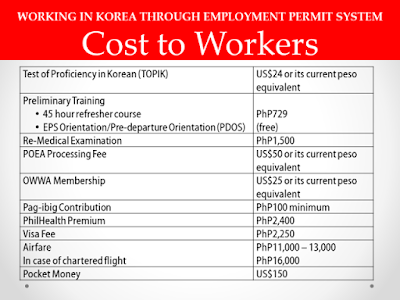 Do you want to work in South Korea as a Factory Worker but you don’t know where to start? If yes, you’re in the right place! Today, I will teach you the process on how to apply as a factory worker in Korea. Note: The Employment Permit System or EPS of POEA is the legal way to get a job in Korea. Step to Get a Job in Korea? *Study and learn the Korean language (You can self study or enroll on a Korean Language Training centers). *Register and pass the EPS-TOPIK examination from The Philippine Overseas Employment Administration (POEA). You can visit their official website for the schedules of TOPIK test. 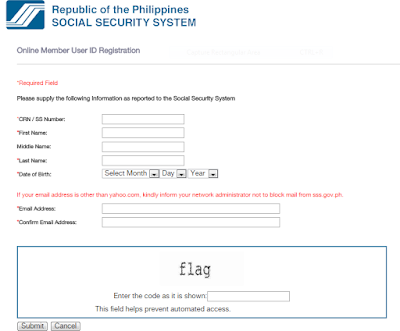 *If you pass the test, you must submit the required documents to POEA . The government agency will be then forwarded your name in HRD Korea were Korean employer will select from applicants to work on their company. Note: Passing the EPS-TOPIK does not guarantee employment in Korea, you will be employed if the employer will select you. 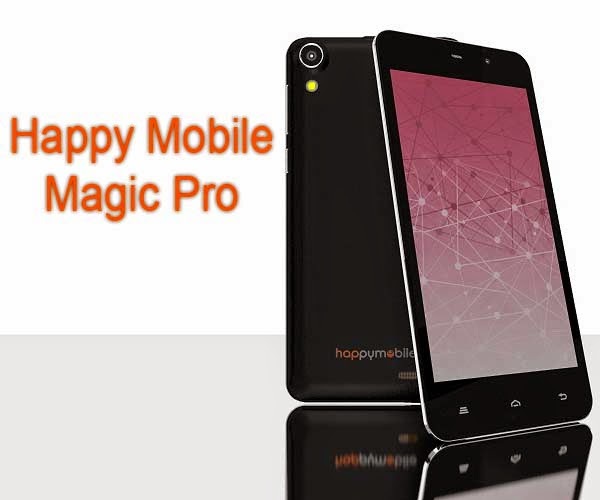 Philippine gadget maker recently unveiled a new smartphone line-up called Happy Mobile Magic series. This line-up composed of three mobile including the Magic Touch , the Magic Pro and the Magic. Oppo Philippines has just announced the R1x, a 5-inches smartphone with back cover of stunning sapphire-glass. 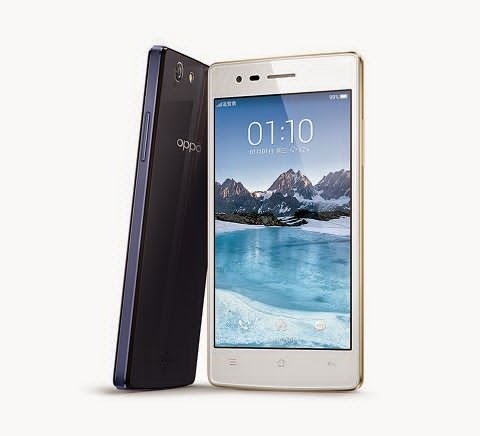 The OPPO R1x is only 6.85mm thin and weighs only 130 grams. 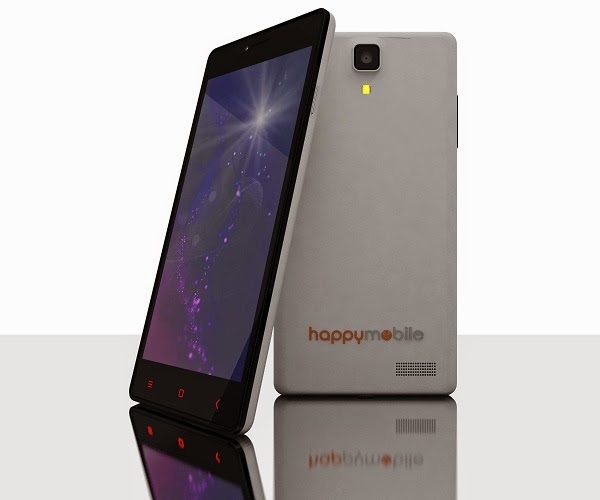 It has a The HD display of the device has a resolution of 1280 x 720 pixels with 16 million colors. It is a multitouch Capacitive Screen that support for Gloved and Wet Touch Input. The device is powered by 64-bit Octa-core processor by Qualcomm, paired by 2GB of RAM and Adreno 305 graphic GPU. There's also an expandable 16GB storage of the R1x. The operating system of the device is an Android Kitkat with ColorOS 2.0.1 skin. The rear camera of the device has a 13-megapixel with f/2.0 and Flash, while the front is 5-megapixel f/2.0 camera. 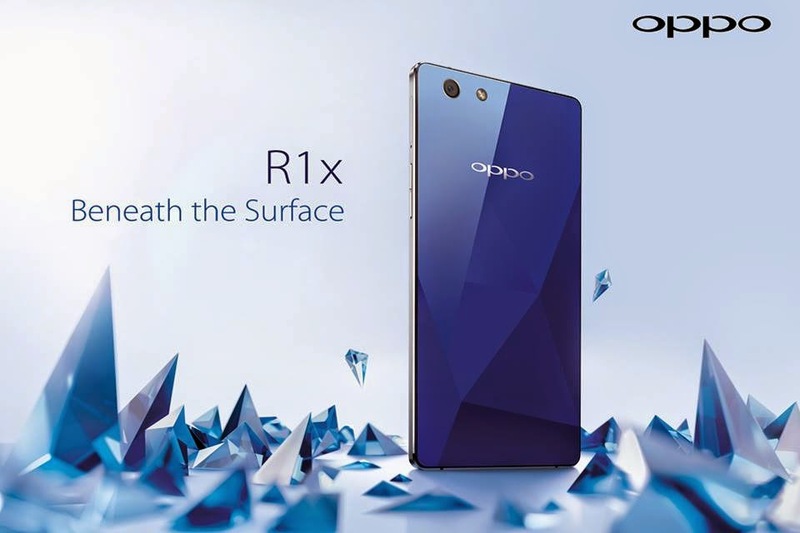 The OPPO R1x is available in sapphire blue and ice white color variant for ₱15,990. 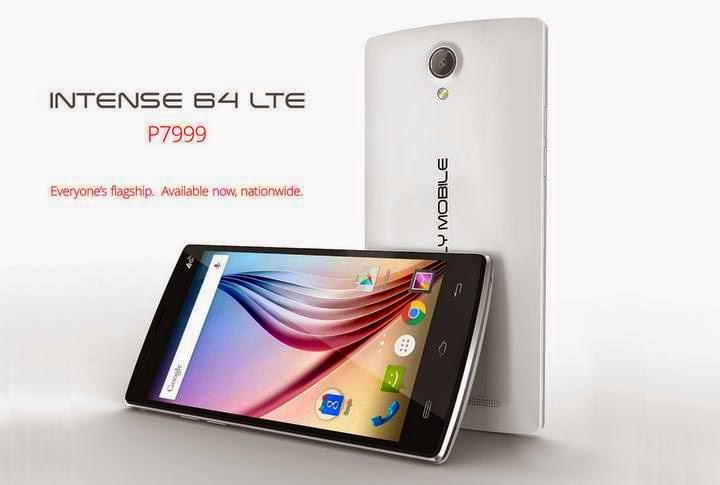 Omega Lite a 5-inches Smartphone with 512MB of RAM for ₱4999! Are you kidding Cherry Mobile? 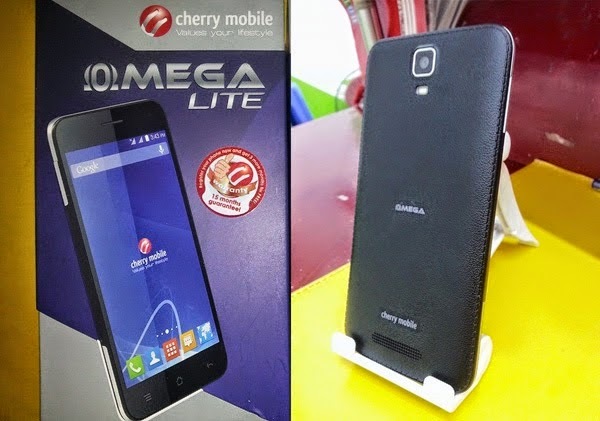 Cherry Mobile Omega Lite is a 5-inches smartphone with Android Kitkat operating system, 1.2GHz Quad Core Processor, 4GB Internal Storage but it only has a 512MB of RAM. It has a price tag of ₱4,999. What do you think? Is there any special for this smartphone? 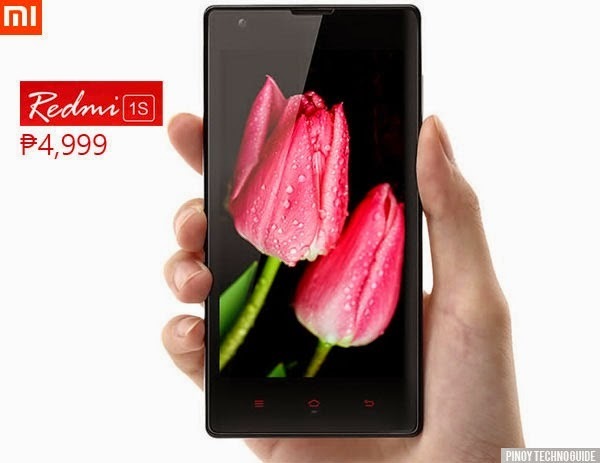 After the flash sale of the Redmi 2 in e-commerce website(Lazada), Xiaomi Philippines has just announced that the Redmi 1S gets a price cut. From its original price of ₱5,599, the device can now purchase for ₱4,999 only. 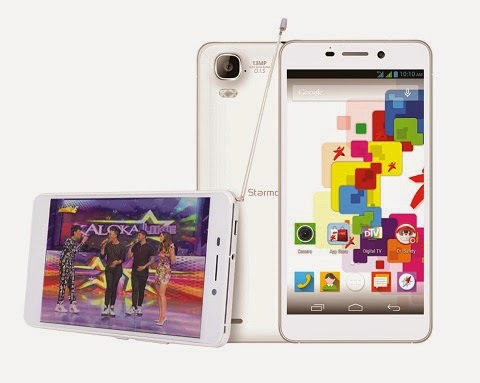 Philippine device manufacturer recently revealed a Digital TV- (DTV) enabled smartphone with 13 megapixel camera for P5,990, the Starmobile UP Vision. The device display is 4.7-inches multitouch with 312 pixel per inch density. 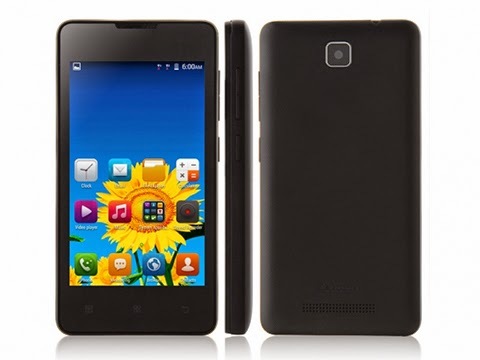 It is powered by a 1.3GHz Quad Core ARM Cortex A-7 processor with Mali-400MP2 @ 500MHz Video Card. Aside from the 13MP camera at the back which is Sony BSI with LED flash, f2.0 aperture and Blue Glass Filter, the Starmobile UP Vision also equipped with 8 megapixel FF Samsung with Front Flash. It can also record a 1080p @ 30fps video. The Starmobile UP Vision will be available starting on the first week of May at all kiosk and stores of the company. Firefly Mobile officially announced the Intense 64 LTE - this is the newest full power android smartphone of the company. The Firefly Mobile Intense 64 LTE features large 5.5 inches IPS HD display covered by One-Glass Solution with Asahi Dragontrail Glass for protection. 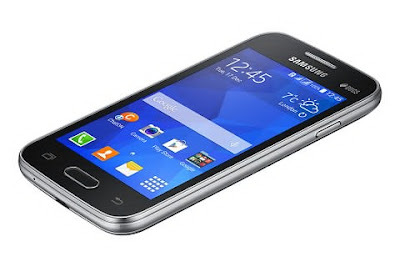 It is powered by a 64-bit 1.5GHz MTK6732 quad-core processor coupled by an ARM Mali-T760 GPU and 2GB RAM. The device is equipped with 13MP BSI autofocus rear camera w/ LED flash, while its front has 8 megapixel camera. The photos will be save on its 16GB onboard storage with expansion up to 64GB. The device is now available in all Firefly Mobile Kiosk and stores for only 7,999. 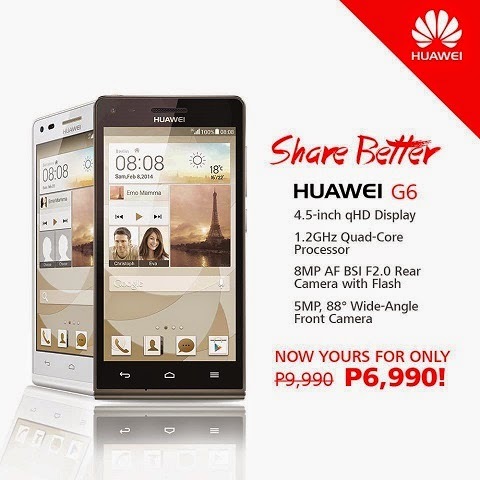 Huawei Philippines recently announced that the Huawei Ascend G6 can now purchased for only ₱6,990 from its original price of ₱9,990. This means, you save ₱2,000. 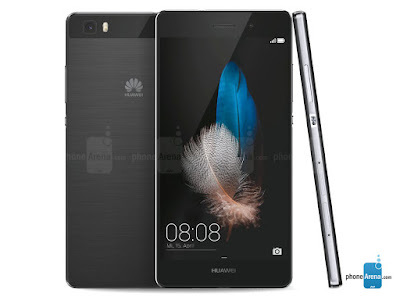 The Huawei Ascend G6 features 4.5 inches IPS qHD display with 960x540 pixel resolution on a 245 pixel per inch density. It is powered by a 1.2GHz Qualcomm MSM8926 Snapdragon 400 quad core processor, paired by 1 gigabite of RAM and 8GB internal storage. 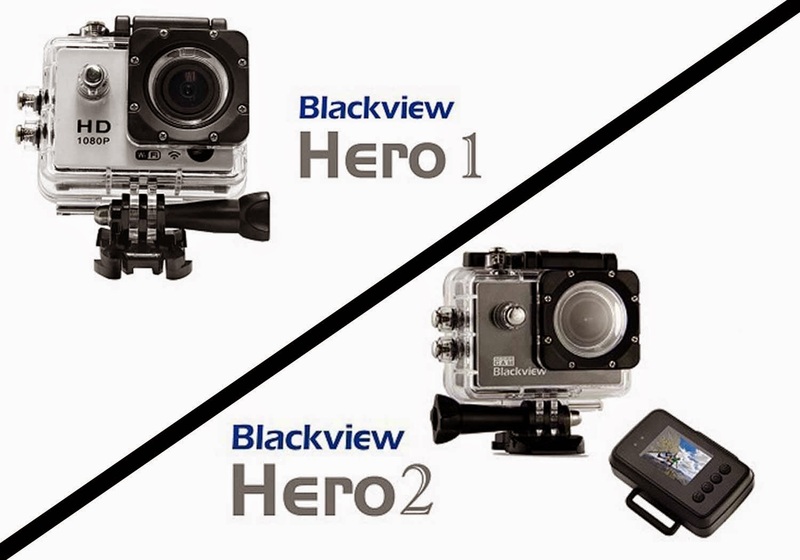 Hongkong gadget maker, Blackview, has just announced two new action cameras, the Hero 1 and Hero 2. The two action camera have some similar specs including a Sony IMX206 12 megapixel camera with 4x digital zoom, Electronic Anti-shake System, 2-inch LCD display and 1,050mAh removable battery. The only difference with this 2 new action cameras is that the Hero 1 can connect to a mobile device via WiFi, while the Hero 2 comes with a RF wireless control with display. Meanwhile, the company not yet announced the availability and price of the two cameras. LG announces a new 5.7 android phablet that offers 1.2GHz Qualcomm Snapdragon 410 quad-core processor with 1.5 gigabyte RAM. 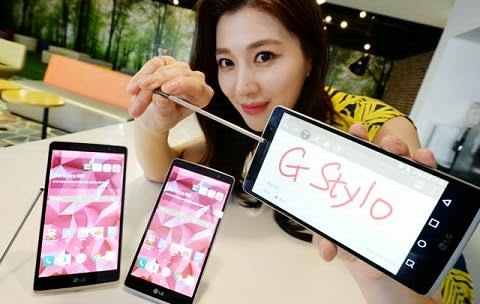 Meet the new LG G Stylo! The LG G Stylo support 4G LTE connectivity and has an Android Lollipop operating system. It also equipped with 8 megapixel rear camera and 5 megapixel on front. The photos will be save on its 8 gigabyte internal storage which can be expand using a micro SD card. One of the biggest gadget manufacturer silently released a new smartphone in Japan. The new device features 5.2-inch full HD Triluminos panel display with Qualcomm’s Snapdragon 810 octa core processor paired by 3GB of RAM. 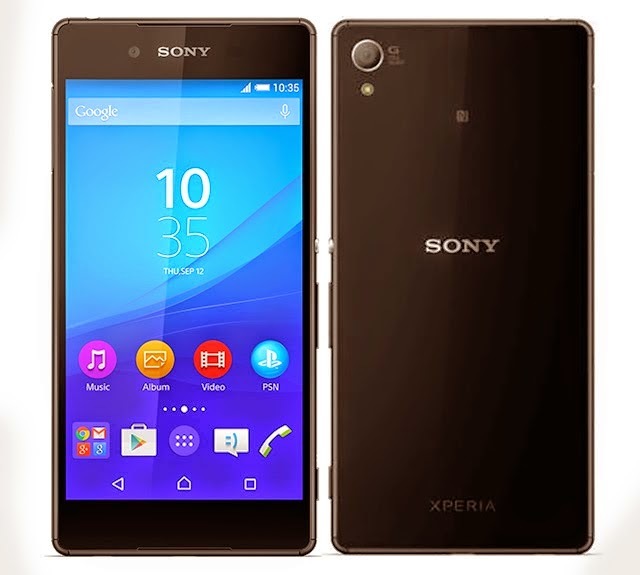 Meet the Sony Xperia Z4. Asus has just announced the official price of Zenfone C in the Philippines. 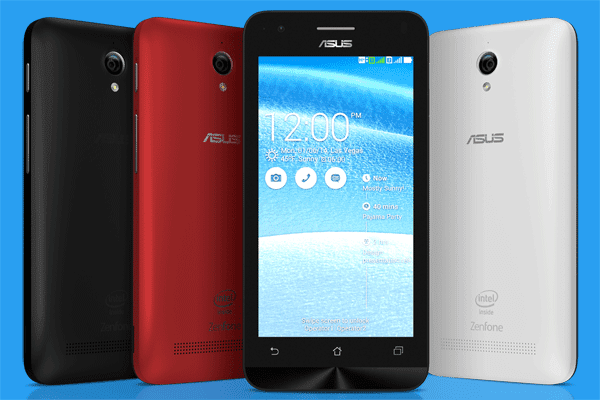 It replaces the Zenfone 4 as the company’s cheapest smartphone. Price at ₱4,595 Asus Zenfone C has 4.5-Inch dispaly with 1.2GHz Dual Core Intel Atom Z2520 processor plus HyperThreading Technology which faster its CPU like a quad core. The processor is paired by 1GB of RAM with 8GB onboard storage that expandable up to 64GB via MicroSD. 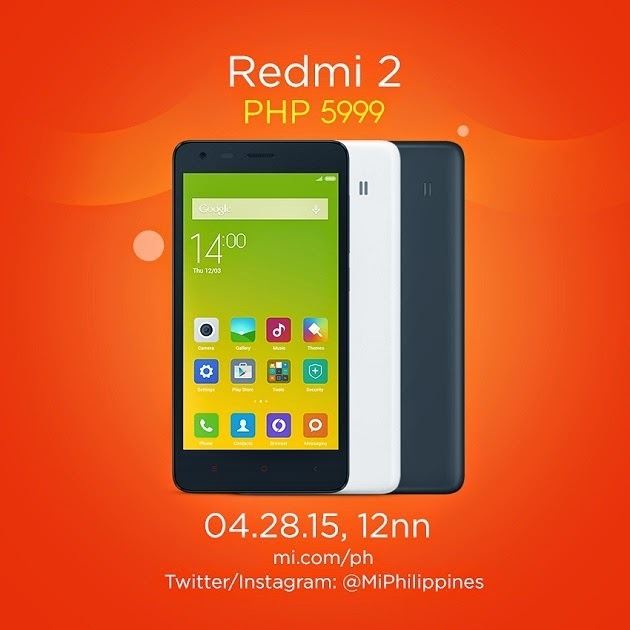 After the successor of Xiaomi’s Redmi 1S, MI Philippines has just announced that they will carry its brother in the country the Redmi 2. 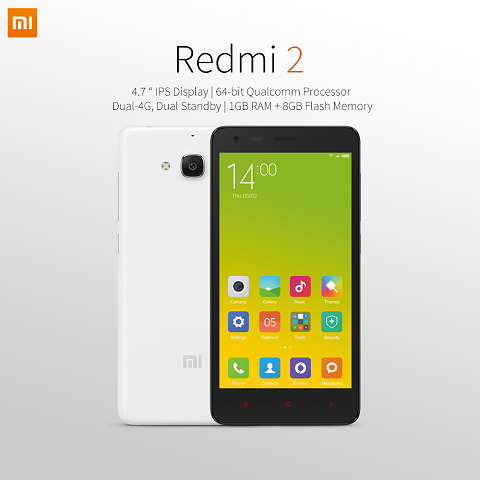 The Xiaomi Redmi 2 features 64-bit quad core Snapdragon 410 processor with 1GB of RAM, 8GB internal storage and 4G LTE connectivity for ₱5,999. 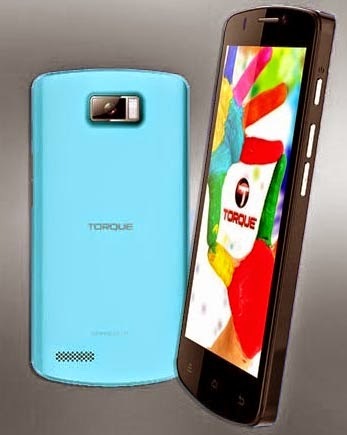 Torque Mobile has just announced its newest android smartphone that features 4G LTE connectivity and powered by quadcore Qualcomm Snapdragon 410 processor. Meet the Torque Droidz Punch LTE! Lenovo will offer a new smartphone for only $60. 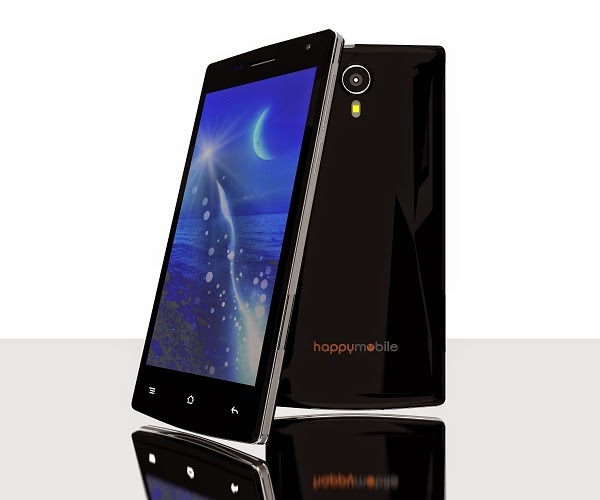 This device features 4-inch IPS display with quadcore processor, MAli-400 GPU, 512 MB of RAM and 4GB internal storage. 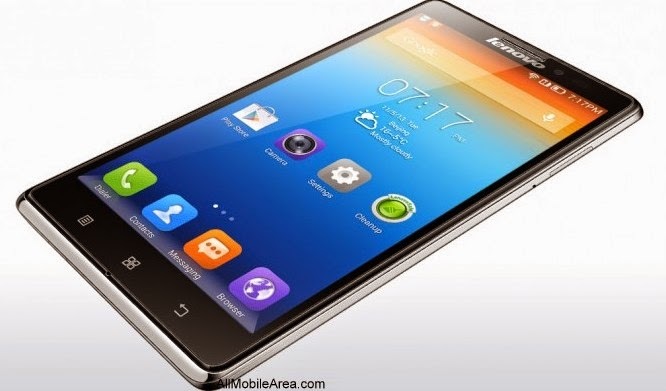 Meet the Lenovo A1900! Smart Communications, Inc. announced that they will cut the price of their Smart Bro LTE Pocket Wifi and LTE Plug-It devices. Aside from discounts, the two internet broadband devices comes with free Facebook and Twitter feed and free 7-day unlimited LTE surfing. 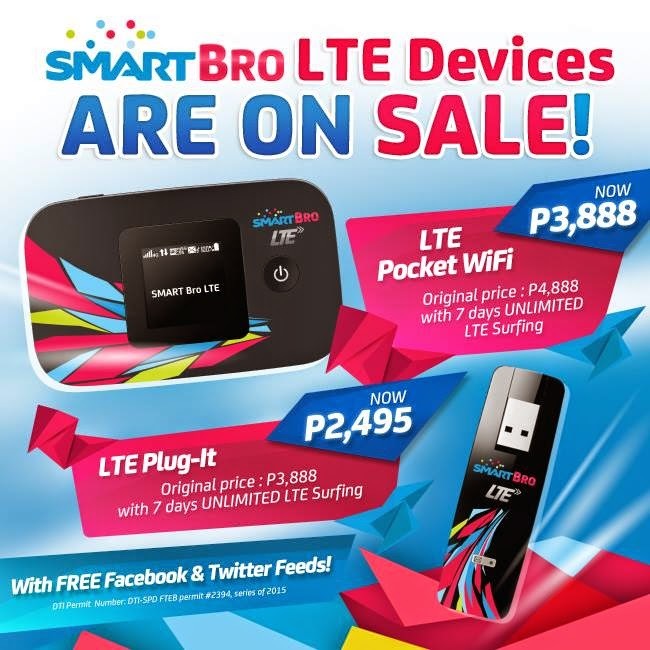 From it's original price of ₱4,888, the Smart Bro LTE Pocket Wifi is now ₱3,888 you save ₱1,000. While the Smart Bro LTE Plug-It is now ₱2,495 from its original price of ₱3,888, it means you save ₱1,393. 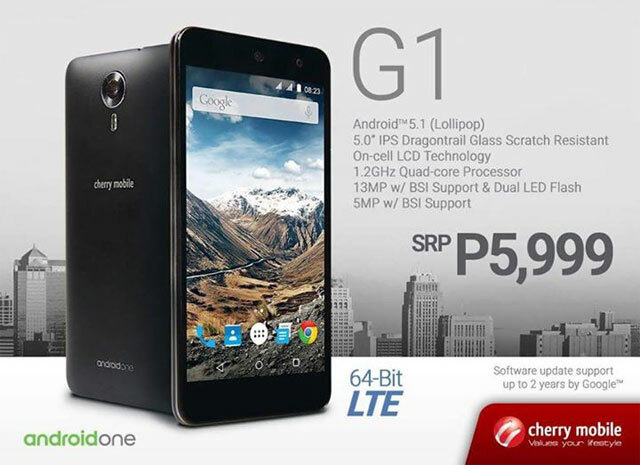 If you want to purchase a discounted LTE devices, just go to http://store.smart.com.ph/. NBI Clearance is one of the important document when you are applying for a job, going abroad (OFW/Tourist) or getting Visa. 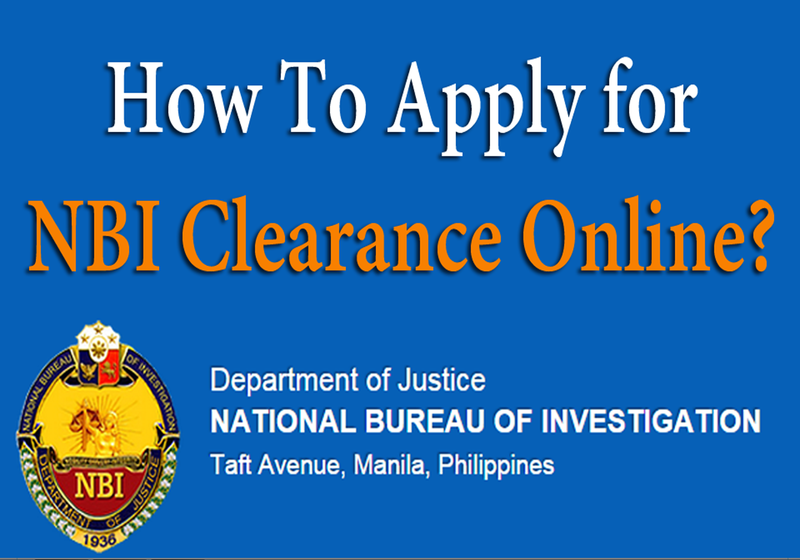 Learn how to apply for NBI Clearance Online. Old Registration have 6 steps: Fill-up Form > Data Check > Payment > Encoding > Data Entry > Photo & Fingerprint Capture > Clearance Printing. while Online Registration has only 3 steps: Online Registration, Appointment and e-Payment > Photo & Fingerprint Capture > Clearance Printing. 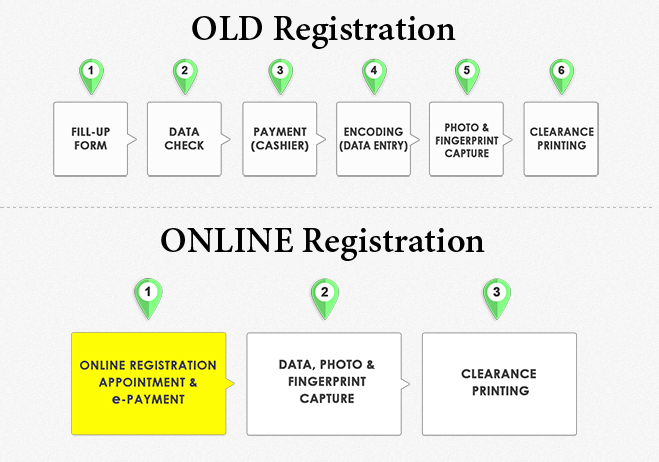 The online registration is more faster than the old registration. 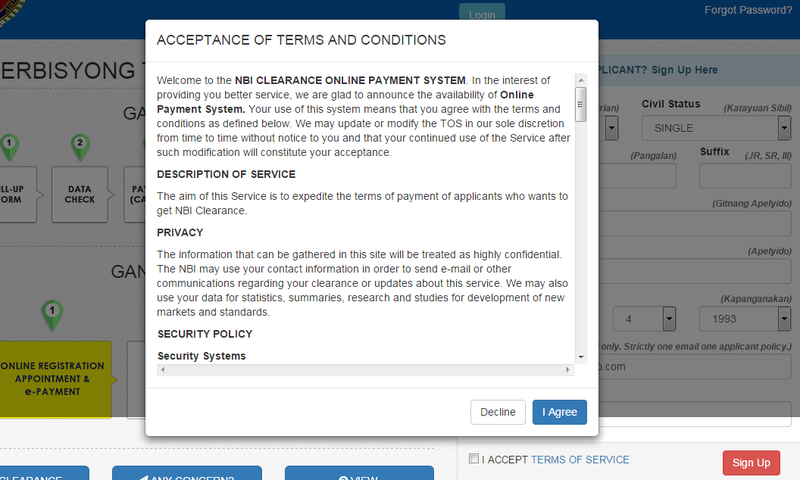 How to Apply for NBI Clearance Online? 1. 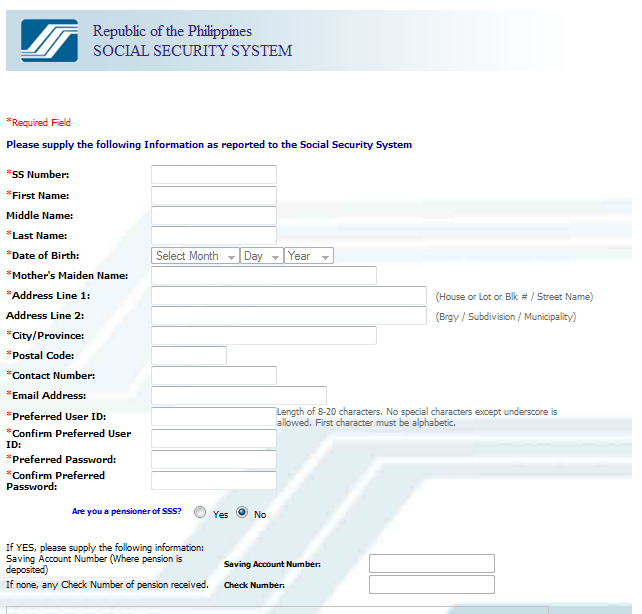 Go to NBI official website clearance.nbi.gov.ph and fill out the form on the right side with your name, gender, civil status, birthday, valid email address and password. 2. Accept the "Terms of Services' and click Sign Up. 3. You will be redirect on a new form were you must fill out the application form completely, then click "Save Information" button. 4. After saving, the details you entered will be shown to you to review. If you found errors, you can simply click the "Edit Information". But if everything are correct, click on the "Apply for Clearance". 5. A pop up window will occur which asked you if what type of application you want. (NEW for new applicants and RENEW for those who have secured a 2014 NBI clearance certificates). 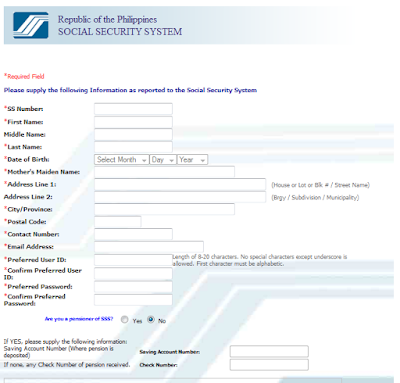 If you choose NEW, enter your presented ID (SSS/TIN) but if you choose RENEW, enter your NBI ID number found on your old NBI clearance certificate. Click the I Agree button. 6. After clicking I Agree, you will be informed of an Important Reminder. Click "Okay". 7. You can now set an appointment to the NBI (Date, Time, NBI Centers). Choose the purpose of your NBI Clearance to calculate the payment. 9. 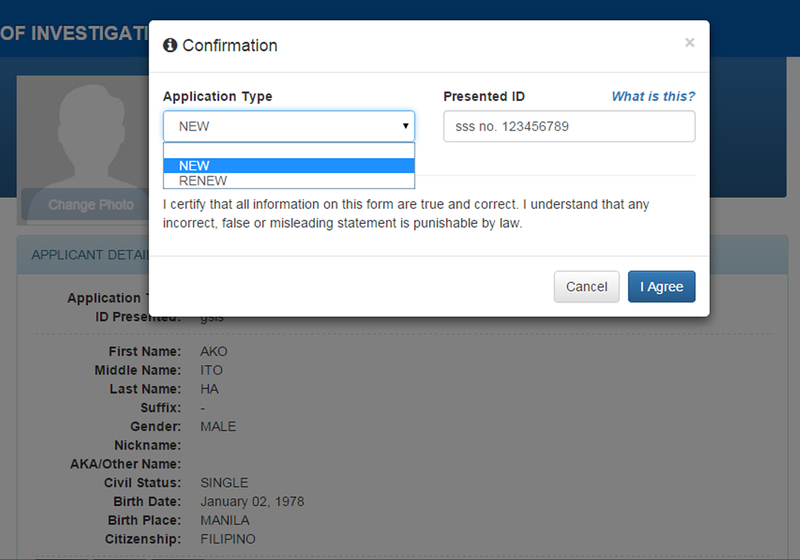 Verify the status of your application by clicking on the "Transaction" button found at the left side of the panel. Check your email for payment confirmation or click on "Confirm Payment" which found at the Status column of the Transactions window. 10. You are now done and ready to appear on your preferred appointment schedule. Bring 2 valid ID’s and Printed NBI clearance application with reference code. 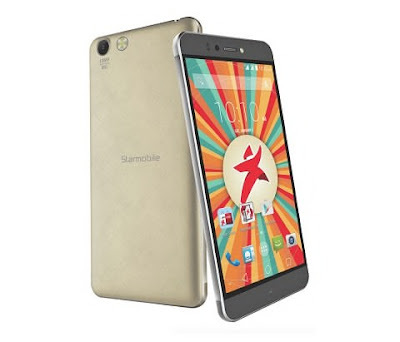 Starmobile recently announced a new android smartphone that features a Quad core processor with 2GB of RAM and a ISDB-T Digital TV for under 10K sub price. 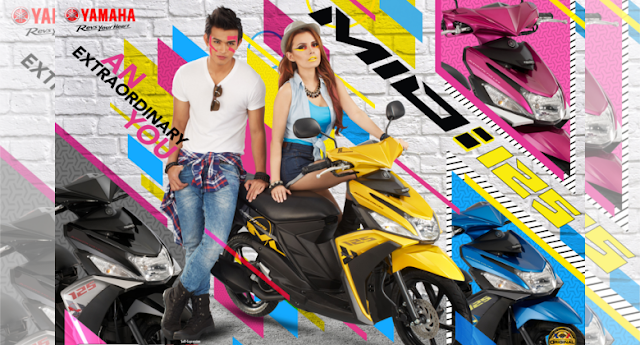 Meet the new StarMobile Knight Vision! 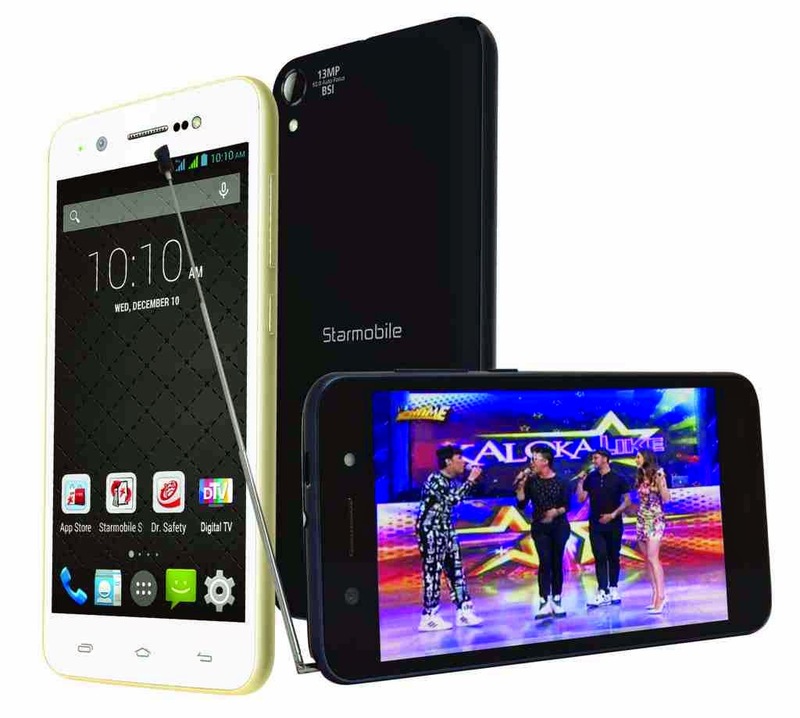 The Starmobile Knight Vision has a 5.5-inches HD display with Mediatek MT6582 chip. IT equipped with 13 megapixel rear camera and 8 megapixel front camera. The photos will be then save on its 16GB onboard storage with expansion up to 64GB via micro SD card. 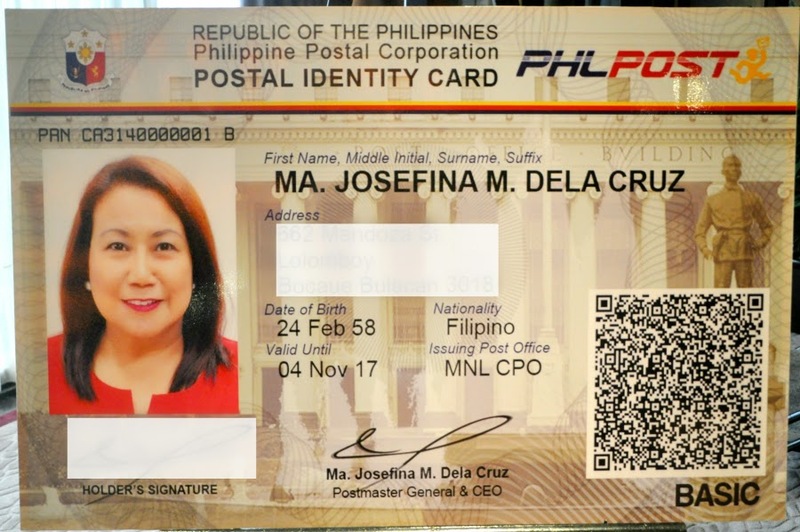 The Philippine Postal Corporation (PhilPost) started issuing a new Postal Identification Card with electronic security features that can be use or accepted to any office or agency just like other Government Issued IDs. Learn how to get and what are the requirements of the new ID. 1. On-site digital capture of fingerprints, photo, signature and personal details. 2. Centralized ID printing and database to guarantee that the cards are authentic. 3. An encrypted QR (‘quick response’) code printed on the card can verify the identity of ID holder using a downloadable smart-phone application. Meanwhile, the old Postal ID will remain valid until its date of expiration. All Filipinos are eligible to apply. Can I apply even I'm an under age or minors? Yes, you can get an ID card but be sure that you are accompanied by your parent or legal guardian. I'm a Foreigner, can I apply for the ID? Philpost also allow foreigners to get ID but they must residing in the Philippines for at least 6 months. 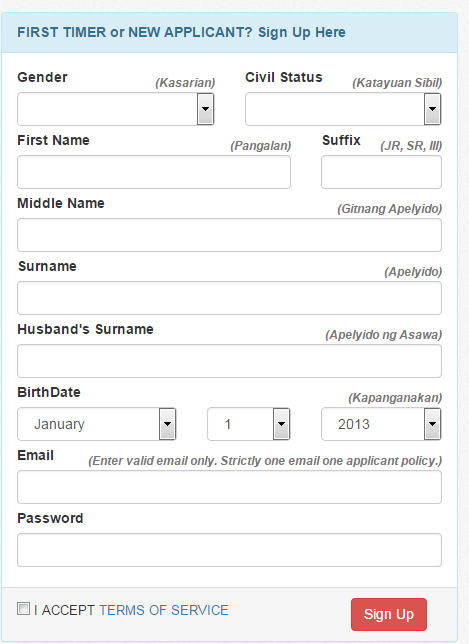 *Application form You can get one at the nearest post office or you can download the form. *Married females must bring their Marriage Certificate to validate change of name from birth document. The new postal ID cost Php 414.44, the delivery fee, postal ID card and 12 percent value-added tax are included. How long it will take to deliver your Postal ID? 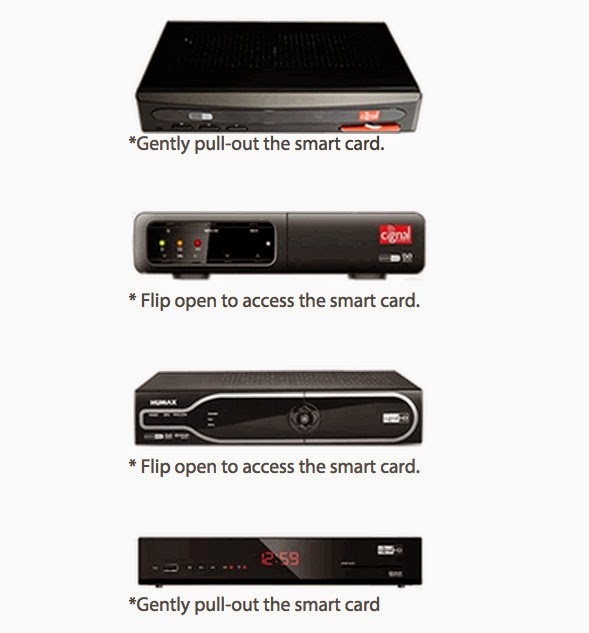 Are you a Prepaid Cignal Digital TV subscriber? If yes, do you know that you can now reload your box through Smart or Sun Cellular mobile phone? That's right! You only need to provide your Cignal account number. You will find your 12-digit account number at the back of the smart card with the format like this. How to Reload my Cignal? 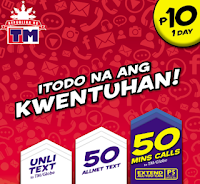 Using your Smart or Sun Cell mobile phone, text: CIGNAL<space>SC<space><12-digit smart card no.> send to 5353. You will receive a text message confirming that your Cignal Digital TV account number has been reloaded. Categories: Cignal Digital TV How to? 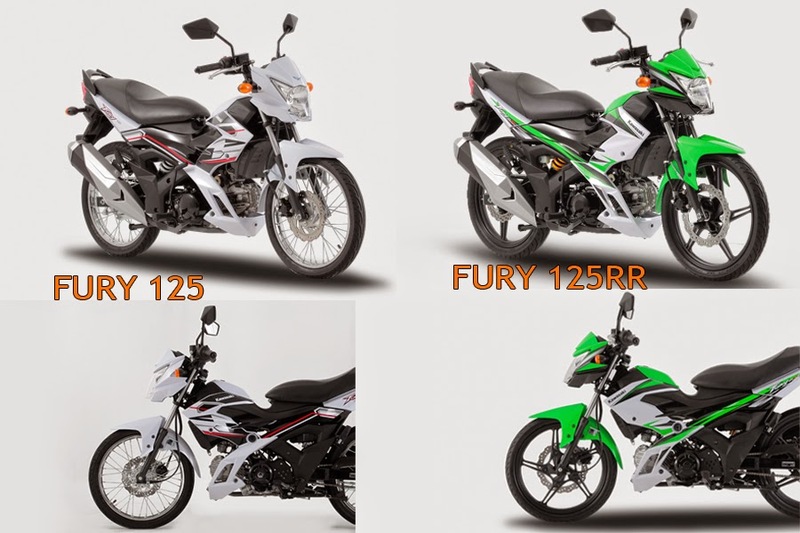 While I'm searching a motorcycle to purchase, I saw two new models of Kawasaki called the Furry 125 and Fury 125 RR. 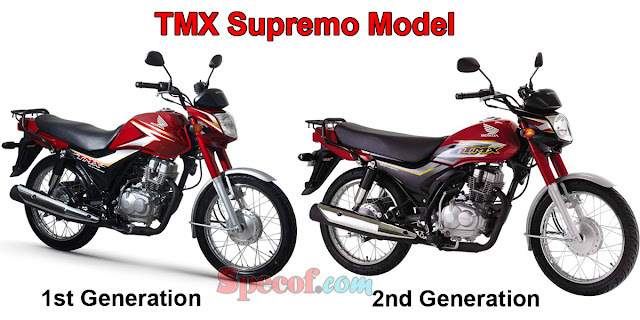 The two bikes have better styling and engine performance than the older Fury of the Company. The Furry 125 carrying 4-stroke, SOHC, single cylinder engine, and 125cc displacement. It cost ₱64,400 and it is available in Pearl Stardusk White, Candly Plasma Blue and Passion Red color variant. The Kawasaki Fury 125 RR features manual clutch and rear disk brakes. It cost ₱74,900 and it is available in Metallic Apple Grean and Metallic Silver Breeze color variant.